As a graphic designer, I’ve been inspired by cartoons – and especially mangas – since my earliest days. I grew up watching Dragon Ball Z on TV, buying mangas at the bookshop, collecting any manga-related goodies, and above all drawing my favorite characters on anything, at anytime. Few years later, I started watching Naruto, which I immediately fell in love, for its original universe and storyline. 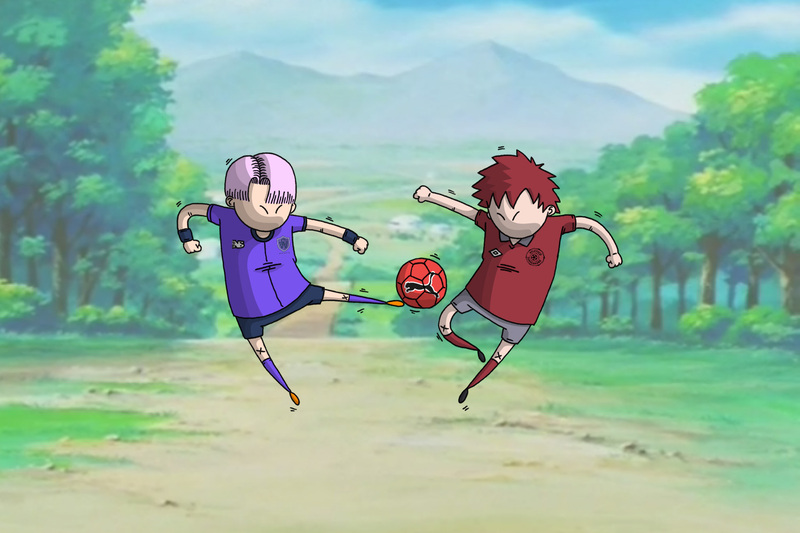 It was obvious for me to work on a project that blends my two biggest passions: football and mangas. I came up with 6 characters, 3 of each manga, all coming from different “bleds”. From there, I pictured 6 football clubs, which I created the logo for – inspired by their place of origin. 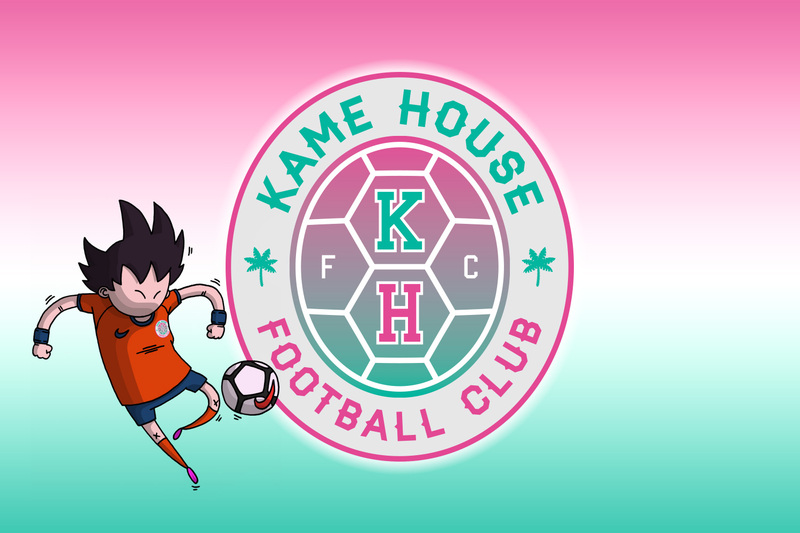 Kame House FC, Sangoku’s first ever club, where he became a first class striker, under the surveillance of the intransigeant Coach Kame Sennin. 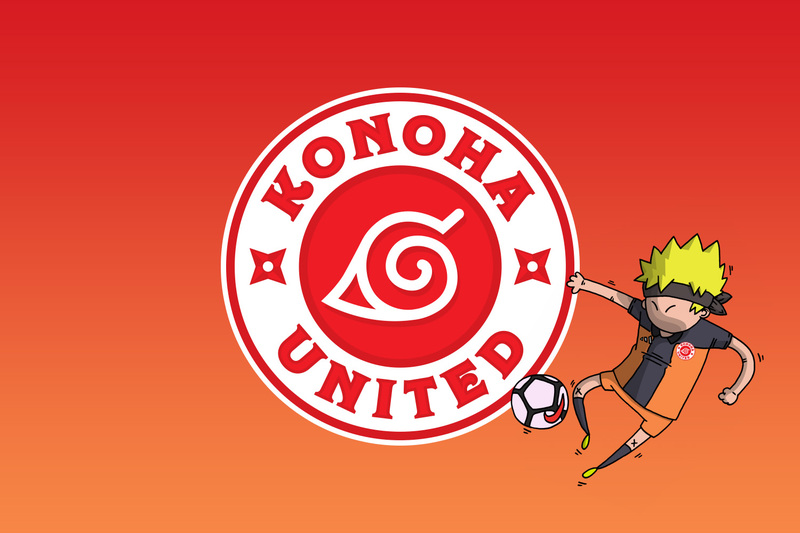 Konoha United, lead by its charismatic captain and playmaker Naruto who achieved to reunite the numerous clans of his beloved “bled” – right after the turbulent departure of Sasuke for the Dynamo Akatsuki, the enemy. 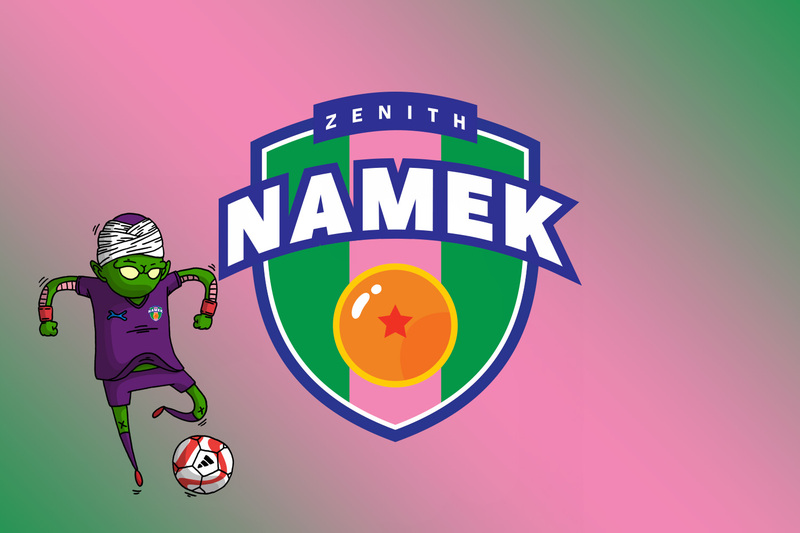 Zenith Namek and its prodigal son Piccolo. At a very young age, he left his first club for a more prestigious one. After winning many trophies with Le Tout Puissant FC, the midfielder decided to come back home in order to bring the club back to the top of the league. 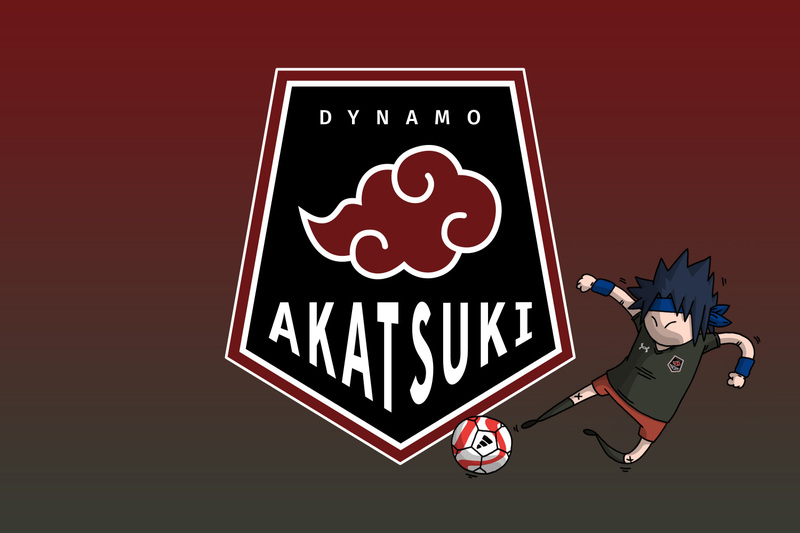 Dynamo Akatsuki, the sworn enemy of Konoha United, their confrontation is one of the most passionate derbies there is. 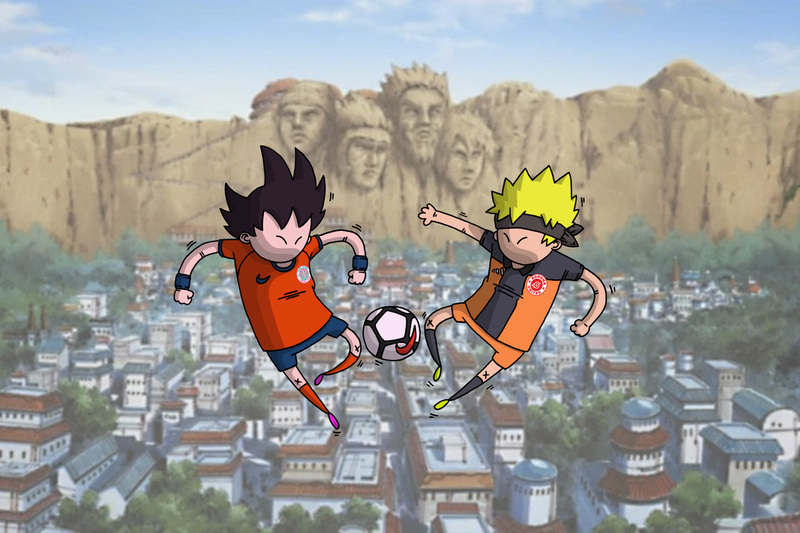 It all started when Dynamo proposed to pay the release clause of the Konoha super star and winger Sasuke – who accepted the offer as he couldn’t stand the step up of his rival Naruto. 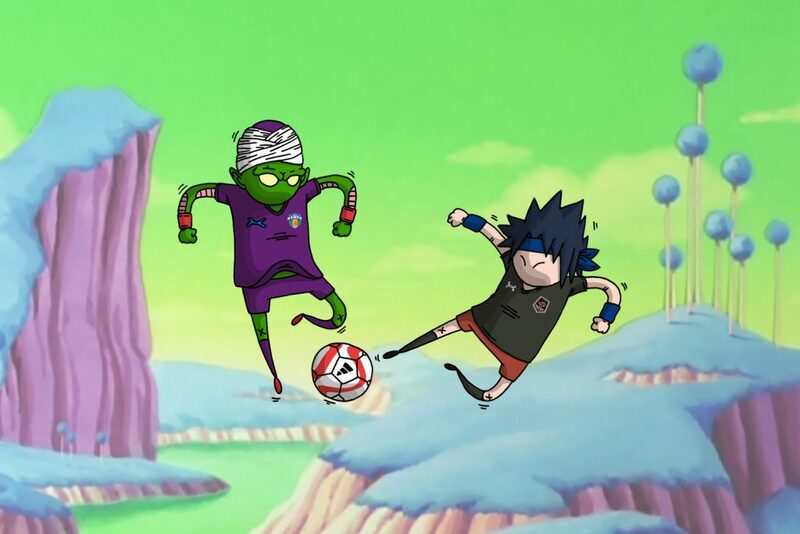 West City FC is a family club, also the richest of the league due to the lucrative sponsoring with the Capsule Corp. Their Captain and forward Vegeta is now retired, but his son Trunks took the lead of the team, despite his young age. 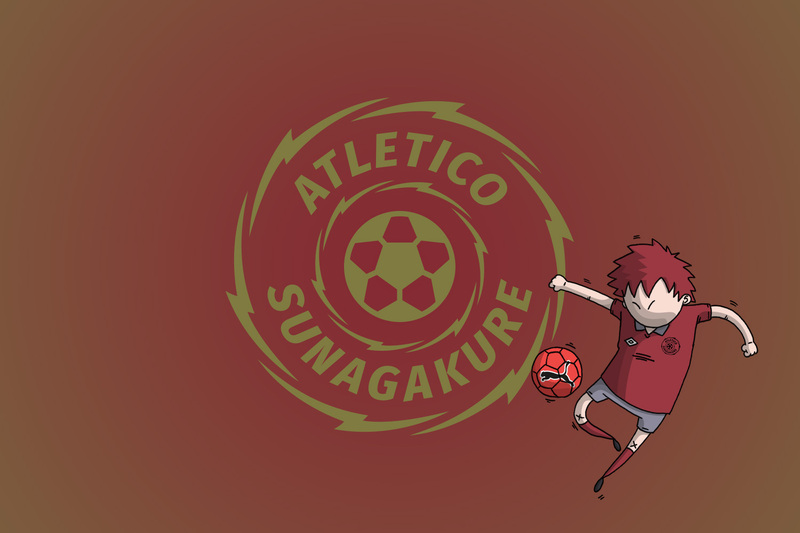 Atletico Sunagakure is not the most glorious club of the league but its leader and defensive sweeper Gaara is one of the most beloved players by the club’s supporters due to high-level performances, and his bravery on the pitch.